Paul Revere was a silversmith and patriot who lived in Boston, Massachusetts during the American Revolution. He is most famous for alerting local militia of the approaching British forces shortly before the battle of Lexington and Concord. Born in the North End of Boston in December of 1734, Revere’s father was Apollos Rivoire, a French Huguenot immigrant who later changed his name to Paul Revere to fit in with the English immigrants in the city. Revere’s mother was Deborah Hichborn, a daughter of a local artisan family. 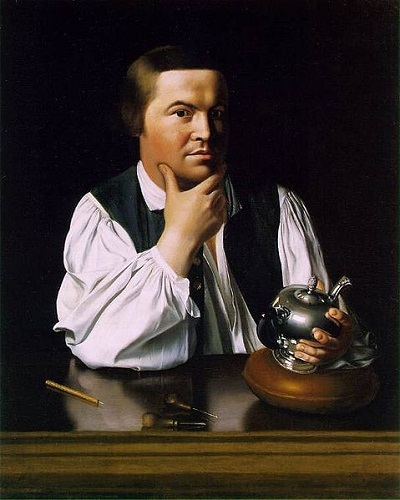 Paul Revere served as an apprentice in his father’s goldsmith shop. After his father died when Paul was 19 years old, he took over his father’s shop and became responsible for his large family. At age 21, Paul Revere fought in the French and Indian War in New York. Revere was appointed second lieutenant in the colonial artillery but only served a short stint in the war, during a failed expedition to Lake George in upstate New York, and returned to Boston without seeing much military action. Revere returned to civilian life and married Sarah Orne on August 4, 1757. Together they had eight children. Three of Revere’s daughters later married into Abraham Lincoln’s family and three of his grandsons fought in the Civil War. An important step in Revere’s life was when he joined the Masonic Lodge of St. Andrew in September of 1760. Here he met patriot activists such as Joseph Warren, James Otis and John Hancock and soon became involved in the activities of the American Revolution. 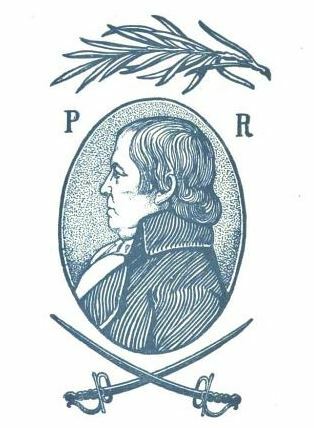 Although joining St. Andrew’s lodge opened many doors for Revere, it is also where he began a rivalry with fellow Freemason William Burbeck that later impeded Revere’s military career. The book The Lodge of Saint Andrew and the Massachusetts Grand Lodge suggests that Burbeck, the son of an Englishman, feared that Revere, the son of a Frenchman, held a lot of anti-British sentiment and would use his power in the lodge to break with the Grand Lodge of Scotland and any other British association. As a result, Burbeck held onto the charter for the rest of his life, only giving it up on his deathbed, but the lodge members eventually secured a replacement copy and allowed him continue his membership. The dispute left quite an impression on Burbeck, who later became a lieutenant colonel in Gridley’s Massachusetts Regimental Artillery and allegedly used his position to block any military promotions Revere tried to secure. Around the same time that Revere joined St. Andrew’s lodge, he also joined the Sons of Liberty, a group of political militants who organized protests against British forces. The Sons of Liberty, who used the Green Dragon Tavern as their headquarters, were responsible for dumping millions of dollars worth of tea into Boston harbor during the Boston Tea Party, which Paul Revere took part in. Tragedy struck when Revere’s wife died in childbirth on May 3, 1773, leaving him a widower with a newborn and many children to care for. Revere remarried a few months later, on September 23, to a woman named Rachel Walker, with whom he had eight more children. The Mechanics were eventually infiltrated by a British spy working for General Thomas Gage. Although Revere never discovered the identity of the spy at the time, it was later revealed to be Dr. Benjamin Church. Unlike many other patriot activists at the time, such as Samuel Adams and John Hancock, Revere was not a member of the noble class and aside from his activities in the mason lodge, his limited education and vocation as an artisan prevented him from traveling in the same social circles as many of the other activists. 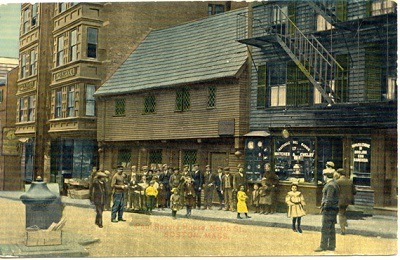 It was Revere’s side job as a courier for the Boston Committee of Public Safety and his involvement in the mason lodge that led to his famous ride. On the night of April 18, 1775, fellow lodge member Dr. Joseph Warren instructed Revere and William Dawes to ride to Lexington and warn John Hancock, Samuel Adams and local militia of approaching British forces. After the Revolutionary War began, Revere served as a lieutenant colonel in the Massachusetts State Train of Artillery and commanded Castle Island in the harbor. Revere’s military career was unremarkable and ended with the failed Penobscot expedition in 1779 during which he disobeyed orders and was charged with insubordination, ordered to resign command of Castle Island and was placed temporarily under house arrest. Revere was eventually court-martialed and acquitted in 1782 but the debacle brought an end to his hopes of a military career. After the revolution, Revere expanded his business and began exporting his goods to England. He also ran a small hardware store until 1789 and ran his own foundry where he made bolts, spikes and nails for local ships. Revere also produced cannons and cast bells. In 1801, Revere opened the first copper rolling mill in America and created copper sheeting for the hull of the U.S.S. Constitution and the dome of the Massachusetts States House in 1803. In 1804, Revere befriended Deborah Sampson, a woman who had disguised herself as a man and fought in the American Revolution, and was so impressed with her story that, in February, he wrote a letter to Congress asking them to award her a pension for her service. Sampson was awarded a pension the following year. 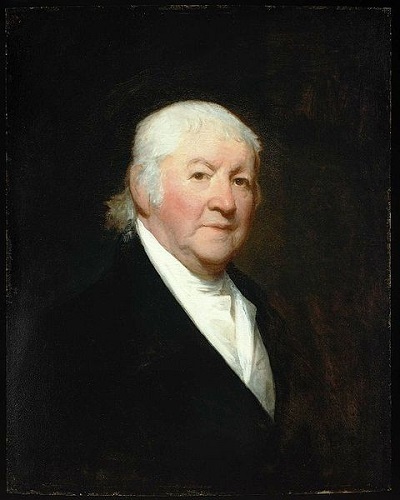 Revere continued to work well into his old age before he finally retired at the age of 76 in 1813. That same year, Revere became a widower again in 1813 when his wife Rachel died after a short illness. In September of 1814, Paul Revere volunteered his manual labor during the ongoing War of 1812, to help build Fort Strong on Noddle’s Island to protect Boston from the threat of British invasion. Revere opposed the war but, with many coastal Massachusetts towns under attack by the British, he knew the town needed to strengthen its defenses so he willingly signed up when Governor Strong put out the call for volunteers. The fort was finished a month later in October of 1814. 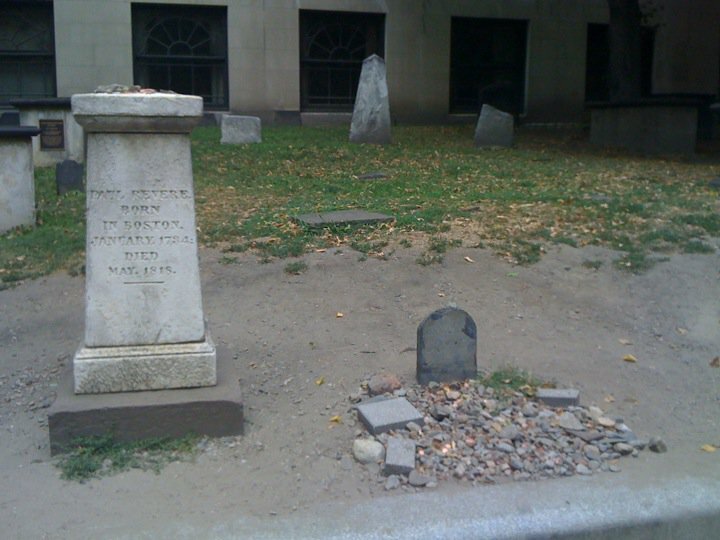 On May 10, 1818, Paul Revere died of natural causes at 83 years of age and was buried in Boston’s Granary Burying Ground. 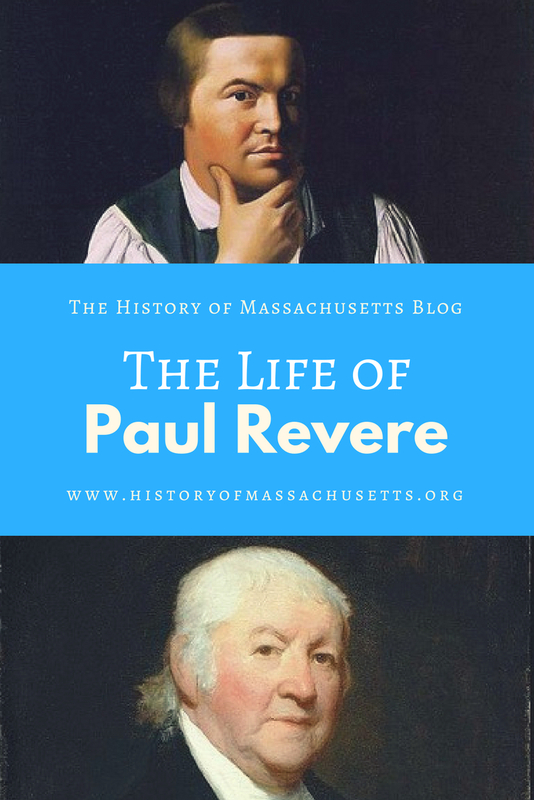 For more information on Paul Revere, check out this timeline of Paul Revere’s life. Triber, Jayne E. A True Republican: The Life of Paul Revere. University of Massachusetts Press, 1998. Fischer, David Hackett. Paul Revere’s Ride. Oxford University Press, 1994. Lodge of Saint Andrew and the Massachusetts Grand Lodge: Conditi et ducati, anno lucis 5756-5769. Lodge of Saint Andrew, 1870. Rebecca, would you consider Revere famous at the time of his death? He was probably well known among the other patriots in Boston but I don’t think he was famous then like he is now. It was really Longfellow’s poem that made him famous. Do you have any idea what regiment he was in charge of at Castle Island. I have been trying to research his time in the Garrison on Castle Island, but other than one book dedicated to his court martial I have been completely unable to find any actual accounts of his career there. Do you know of any sources on the subject? Sorry, I don’t know what regiment he was in charge of. There does seem to be a lack of info on his military service. I couldn’t find much on his time in the French and Indian war either. You might want to ask author of the Boston 1775 blog J.L. Bell or Walking Boston tour guide Ben Edwards. Edwards is related to Revere and knows a lot about him. You could also email or tweet at the Paul Revere House and see if they know. This is good info, its helping me on my project at school. Thank you who ever made this website. I liked this it helped me with my research on Paul Revere I will definitely use it again!